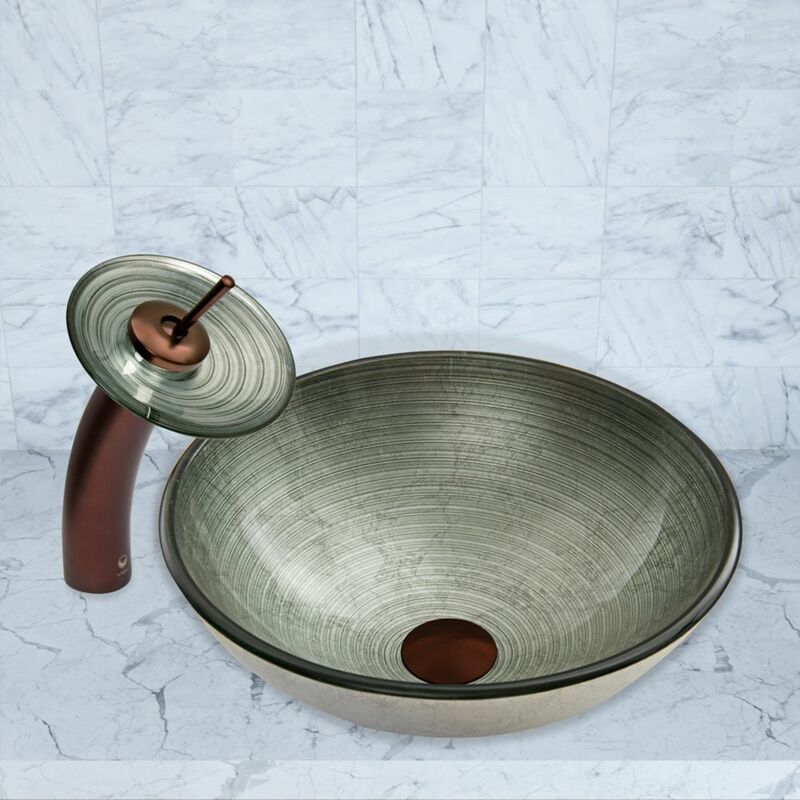 Glass Vessel Sink in Simply Silver with Waterfall Faucet in Oil-Rubbed Bronze is rated 5.0 out of 5 by 2. Rated 5 out of 5 by Denise313 from Beautiful-Part 2 I should have mentioned, in my earlier review titled 'Beautiful', about the functionality. I have not experienced any splashing of any kind at all. On my sink/faucet, the water doesn't come out hard or fast enuf for it to splash, but it comes out plenty good enuf to do the job. Rated 5 out of 5 by Denise13 from Beautiful! Beautiful sink and faucet package!!! As typical, it's SOOO much nicer than it shows online, and I'm SO happy I bought it. It's perfect for my guest half-bath. I get compliments on it from everyone who sees it!!! Vigo is now my first place to shop!! !